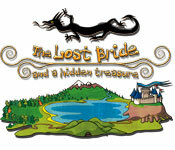 The Tale of The Lost Bride and A Hidden Treasure is rated 3.6 out of 5 by 5. 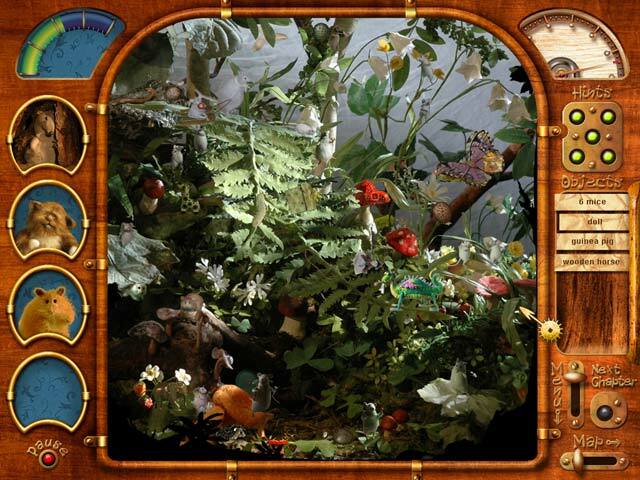 Rated 4 out of 5 by Suelovesgames from Cute game The objects in this game were quite difficult to find, plus there were limited hints. There were chances to get more hints, sometimes they just appeared. I think it was a reward for good behaviour! On the cute-o-meter, it definately scored 100. If you like animals, especially cute furry ones, you might like this. There are no humans in it at all. It seems to takes place from an animal's perspective. It reminded me a little of childrens T.V programmes in the seventies, in the U.K. I had to use a large magnifying glass to find the objects most of the time and by doing that I got to see how lovely the graphics were. The music was a little annoying, sent me crazy, turned it off. The last level you have to do without any hints at all. It took a few times and help from another pair of eyes (my husband). It was very challenging at times and not a relaxing game. It appears to be for children because of the cutesy genre and the way it's styled but I would say it's an quirky game for adults who love animals. Rated 4 out of 5 by mcf_fan13 from Very cute Sometimes, after watching a movie like "The Girl With The Dragon Tattoo", however excellent, you are in the mood to watch Bambi? This game is kind of like that or for kids. I thought it was charming and fun. 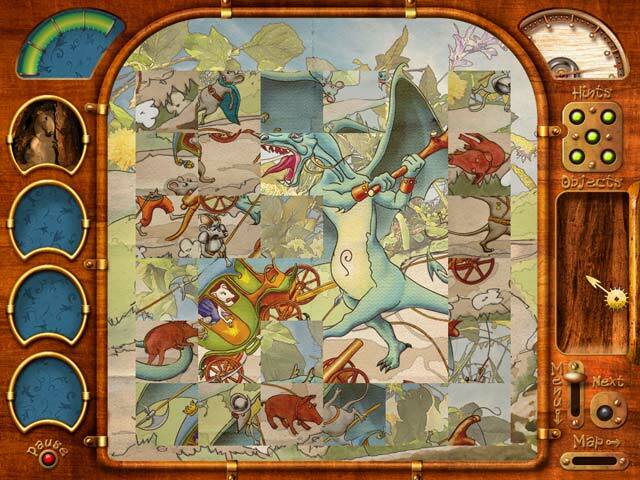 I thought it had just the right amount of challenge finding hidden objects, cute puzzles. There are 5 hints in most scenes, so plenty for me, but I have a large screen. If you are in the mood for cute, innocent fun, would recommend. Rated 3 out of 5 by Shastanna from Diabetically cute, but becomes a bit tiresome I think this game is more for young children. They would enjoy it very much! It's very cute and sweet, but it's the same thing over and over. Rated 3 out of 5 by Eoarod from Cute and frustrating Surprisingly challenging for a game that at first glance looks like fluffy fare! 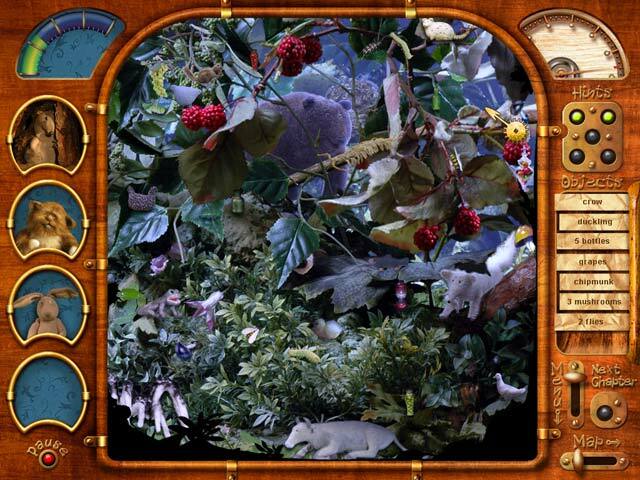 You can gather postcards for completing bonus searches in hidden object scenes, and boy do you earn those! The story is cute and the creatures adorable. The frustration comes from feeling this should be super easy and finding it's pretty darn hard to spot many items! Bear in mind this isn't a "no brainer" and be patient with scene tranistions and this is a nice, unique little game. The Mouse World is at the brink of a collapse: at the glamorous Royal Wedding the Gray Dragon kidnapped the beautiful Princess!